A foreign language institution established by the Order of Saint Ursula, OSU, the school has always maintained its own unique feature and is managed conscientiously. Wenzao focuses on serving society and mankind. For the past 50 years, Wenzao Ursuline University of Languages has cultivates many globalized and professional talents in the foreign language field. The achievement of Wenzao is an important asset for Taiwan in its expansion of international trade and promotion of its international prestige. 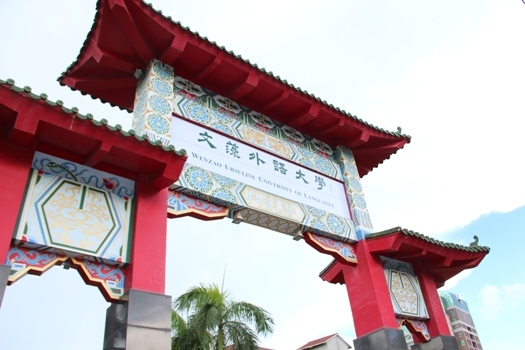 Wenzao has often been described as a “rare education pure land in Taiwan”. Wenzarians are enthusiastic, generous, dedicated to work and benevolent. These qualities are the hardworking results made by Wenzao teachers and students.